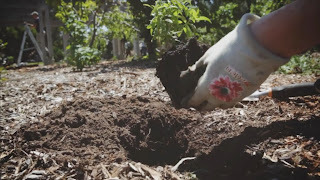 Growing Food Project will be screened as part of Melbourne Now at the National Gallery of Victoria (NGV) on Saturday 30th Nov at 3pm. 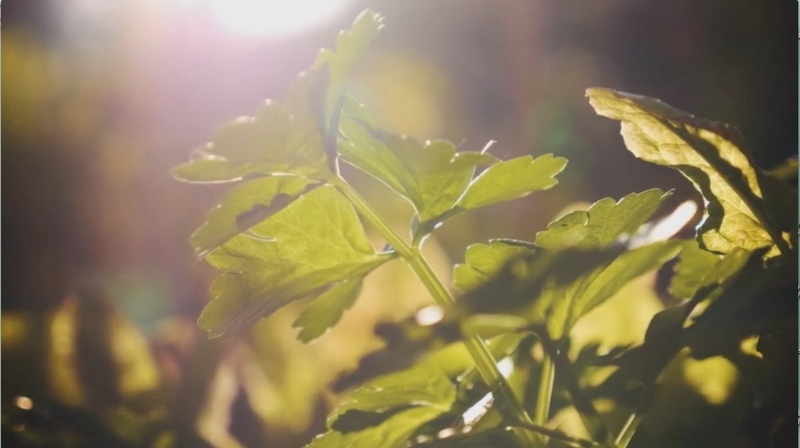 Excerpt from Growing Food Project from Rasha Tayeh on Vimeo. Melbourne Now celebrates the latest art, architecture, design, performance and cultural practice to reflect Melbourne’s extraordinary and unique cultural landscape. This film screening will be followed by a panel discussion with artist & nutritionist, Rasha Tayeh alongside other inspiring designers & architects discussing Food & the Built Environment – inviting viewers to discuss the benefits of supporting local food systems & how we can better design cities around food and bring it closer to us. 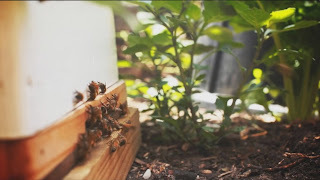 The film screening & panel discussion will kick off at the Clemenger BBDO Auditorium (NGV International, 180 St Kilda Road Melbourne) at 3pm and will be followed by a tour of the Foodscape designed by Urban Commons at the NGV garden. This event is free. No booking required. Seeds... the buried beginnings of food, the systems in which it is embedded ... and our capacity to transform them. Come to the Abbotsford Convent 6.30-8.30pm Thurs 5 Dec, for an inspiring night of conversation, food and music, with special guest, award winning journalist and educator, Simran Sethi. 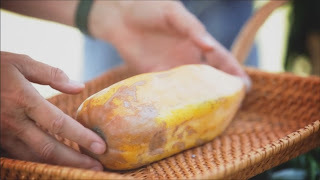 "an evening of invigorating conversation on the buried beginnings of food – the nature of the seeds, crops, diets, industries and systems underpinning our food, and how we can go about changing them for the better. Anthony James, Head of OASES Graduate School, and Livia Albeck-Ripka, Deputy Editor of Dumbo Feather, host a conversation with award-winning journalist Simran Sethi, on the current global food crisis as an opportunity to rediscover the sanctity of the seed, community resilience and our capacity for transformation." "a journalist, strategist and educator committed to an expansion of social and environmental engagement that includes voices from rural and urban communities. Simran is currently an associate at the Melbourne Sustainable Society Institute (MSSI) at the University of Melbourne in Australia, where she is conducting research on the loss of agricultural biodiversity in our food system. Simran is also the Queen’s College Sugden Fellow." Tix: available at oases.edu.au/simran proceeds to Foodbank and the Choir of Inspiration and Hope. Trains run every 10 minutes on Weekdays. Bus stops are also nearby. After a year of filming at wonderful community gardens, local food projects and interviewing inspiring food activists in Melbourne - the Growing Food project is ready to be launched! 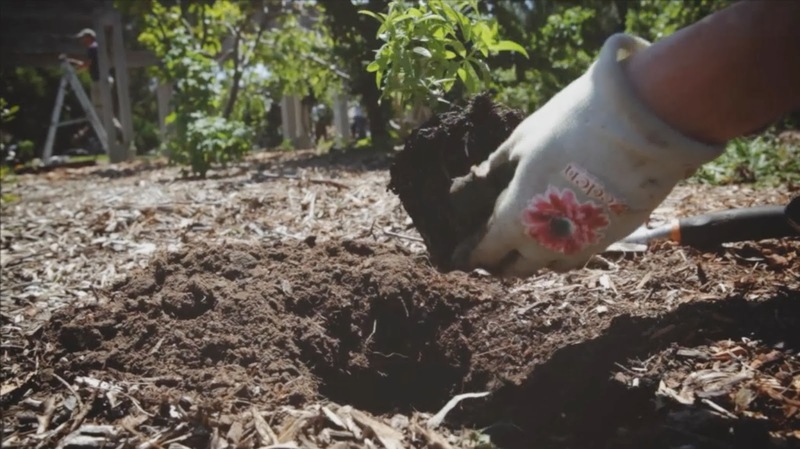 The Growing Food project is a short documentary exploring Melbourne's local food movement and grassroots initiatives. Written & directed by Rasha Tayeh, the film highlights stories of people coming together to build local, fair and sustainable food systems. The film will be launched at the Australian Centre for the Moving Image (ACMI) on Wednesday 20th Nov at 7pm. The screening will be followed by a panel discussion with inspiring food activists, experts and thinkers — inviting viewers to discuss the benefits of supporting local food systems. Rasha Tayeh: Growing Food project director, Melbourne-based nutritionist, food activist & artist. Rasha is involved in a range of food security & local food projects. Rasha has worked as a researcher & associate lecturer at Deakin University and most recently on various health promotion projects that focus on food security & food advocacy at Merri Community Health Services. She is the founder of the Moreland Food Gardens Network & a member of the Australian Food Sovereignty Alliance. Pamela Morgan: with extensive experience in urban agriculture & food security, Pam has worked in a range of settings both locally and internationally. Highlights in her work history include managing the Collingwood Childrens Farm through its establishment and development, six years working in the Cuban Urban Agriculture Program, working in local government as Project Officer for the VicHealth Food for All Program, and is currently managing the development of a food garden in her work at Merri Community Health Services. Kirsten Larsen: has been investigating the ins & outs of all things food for around 7 years. Kirsten has been involved in implementing food policies at state and local governments. In her work at the Victorian Eco-Innovation Lab she has focused technical & social innovations that bring healthy communities and ecosystems closer. Co-director of Eaterprises, a social enterprise that transforms the way food is distributed and exchanged. Serenity Hill: Co-director of Eaterprises, Serenity is from a farming family in Warrenbayne in NE Victoria and is currently undertaking food systems research focused on the complex challenges facing farmers and opportunities for innovative response. She has extensive experience in policy development in Victorian state government related to climate change adaptation. Mark Sanders: Co-founder of Moreland Community Gardening and Moreland Food Gardens Network, Mark got a taste for social gardening a few years ago. He then found himself along with his neighbours reviving a beautiful food forest in West Brunswick. Exposed to backyard fruit & veg growing by his parents from an early age - he was bound to end up gardening as much as he does! He leads a secret double life as an IT & web development manager. Don't miss out on this special event & public launch of Melbourne's first local film on local food! To buy your tickets click here. Proceeds will be donated to the Community Meals Program at Asylum Seeker Resource Centre. For more info, visit the Growing Food project website & follow us on Facebook. There is plenty of general maintenance as always. It looks to be a changeable Spring day so come prepared for a few showers. as always there is time for a good chat over a cup of tea and cake.